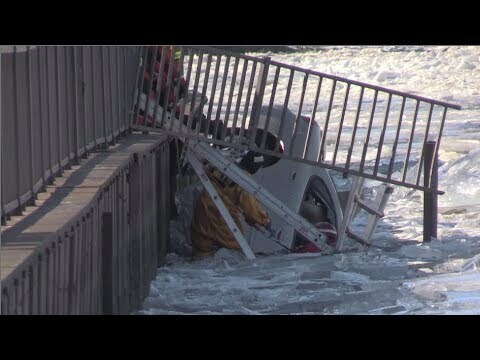 24-year old Jacob Garrett was driving at rate of speed when his car tumbled into the freezing Delaware River according to NJ.com. Garrett managed to escape but left his 23-year old girlfriend in the car. First responders pulled the girl out which was at one point fully submerged. Witnesses say Garrett told them to help his girlfriend and fled before responders got there. She died shortly on her arrival to the Lourdes Medical Center. he has been charged with “leaving the scene of a fatal accident, causing death while driving with a suspended license and endangering an injured victim” reports the NY Daily News.